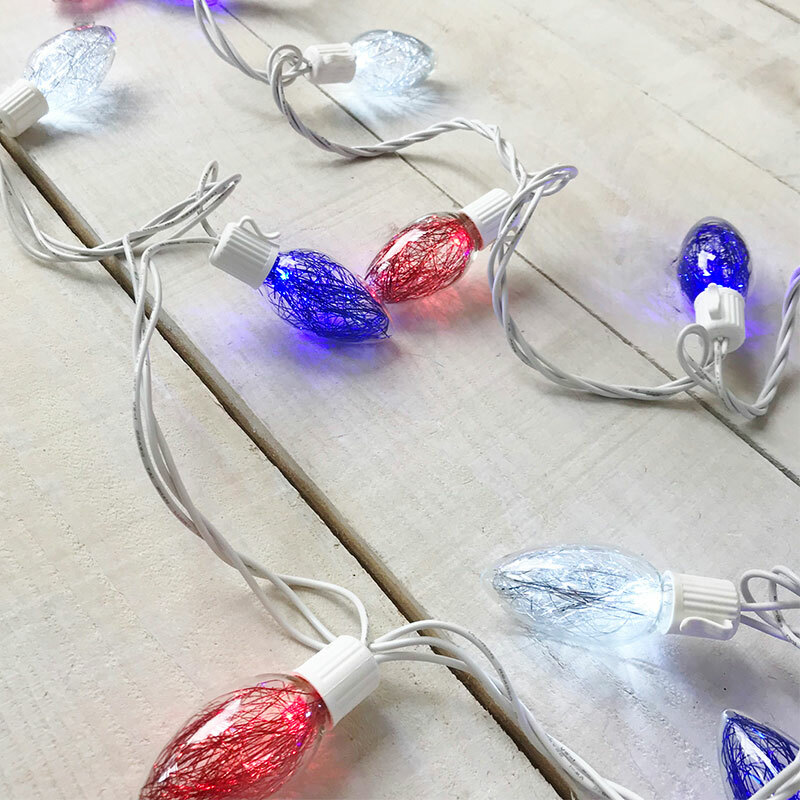 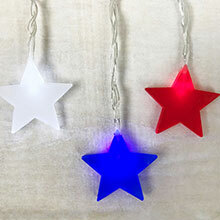 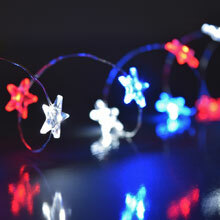 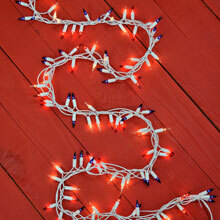 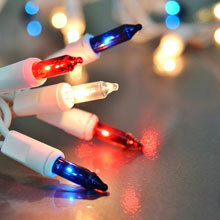 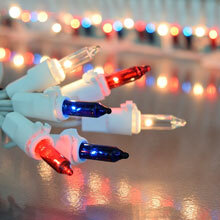 The patriotic LED light strand features 25 red, white, and blue C9 lights with tinsel inside. 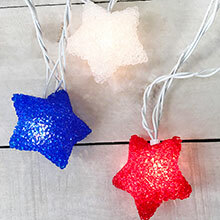 These lights are a great way to show off your patriotism for Memorial Day, Fourth of July, Veterans Day or any day of the year! 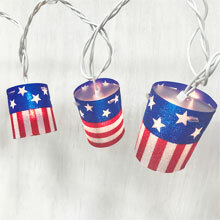 The patriotic tinsel light strand has the 25 C9 LED bulbs on a 16 foot white strand. 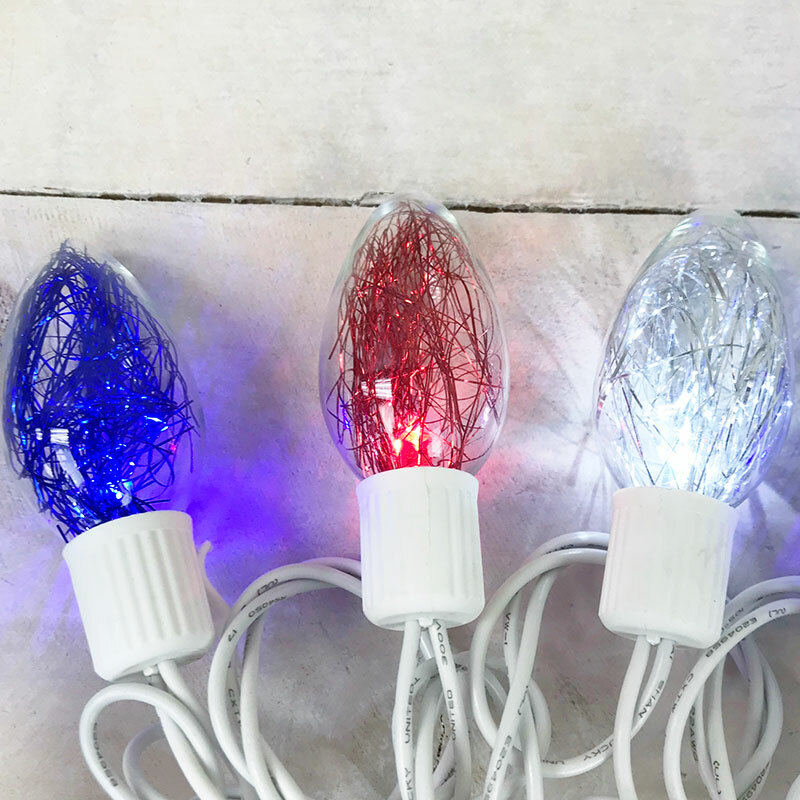 These red, white and blue LED tinsel lights would add the perfect touch to any patio, restaurant, back yard landscape, or home decor!